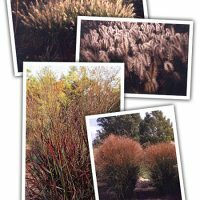 One of the best dwarf Fountain Grasses for the Houston area. Nice tight clumps of narrow green foliage topeed with creamy-white fox-tail flower heads in summer that mature into a creamy tan. Averages 1-2 tall. Normally has great orange fall color. One of the best Pennisetums for the South. Sun. Moist, well-drained soil. 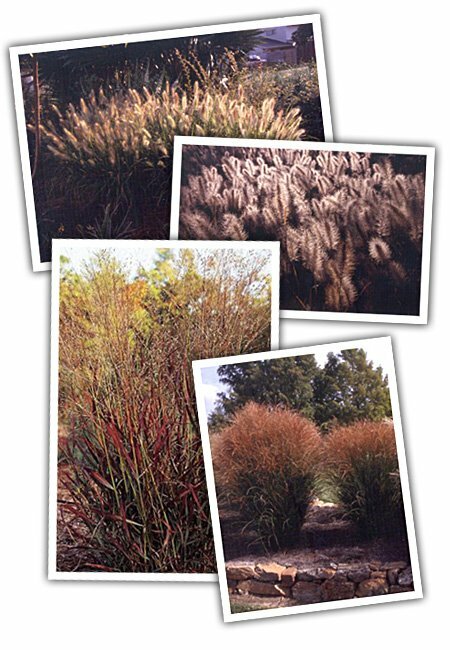 An extremely versatile & attractive native clumping grass that tolerates a wide range of soil & climatic conditions. It’s valued for its erect, upright form, showy summer flowers, brilliant fall color, & winter silhouette. Switch Grass tolerates moist, wet soil & so it’s a great choice for water gardens & pond edges. It’s beautiful planted alone or as a mass planting & is great for naturalizing & attracting wildlife. Shenandoah has burgundy-tinged foliage. 3-4 tall. THE Maiden Grass! One of the oldest cultivars in the trade. Spectacular with slender green foliage forming stiffly erect 4-5 clumps that are topped with gorgeous copper-bronze plumes around September. The fall foliage color will normally turn orange, bleaching to almond. Sun. Moist, well-drained soil.